It's pretty obvious that I've been enamored with Monica Vinader jewelry for several months now, evidenced by photos of her bracelets on many of my collages. I don't own stacks of jewelry myself. Actually, most of them are simple pieces which hold a lot of sentimental value. Take the tennis bracelet for example, which was custom made for me (I wanted conflict-free diamonds) just after Lil L was born. I would love to pass it to Lil L one day.......along with that infamous Hermes Birkin which some of you suggested that I use as a vase (I thought is a brilliant idea! )(It's also an important lesson not to get caught up in buying expensive IT bags). Sorry....I tend to go off on a tangent. 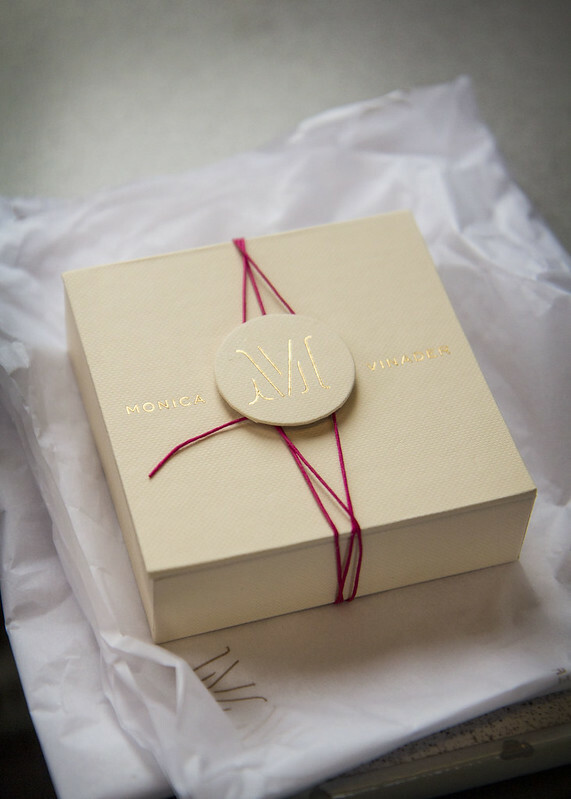 A month ago, I received an email from the lovely ladies at Monica Vinader asking if I would be interested in seeing their jewelry up close and perhaps learn a little more about them. What?! Have someone else look after my kid ALL day while I fondle jewelry? Are you kidding me???? Heck, yeah! So off to London I went. 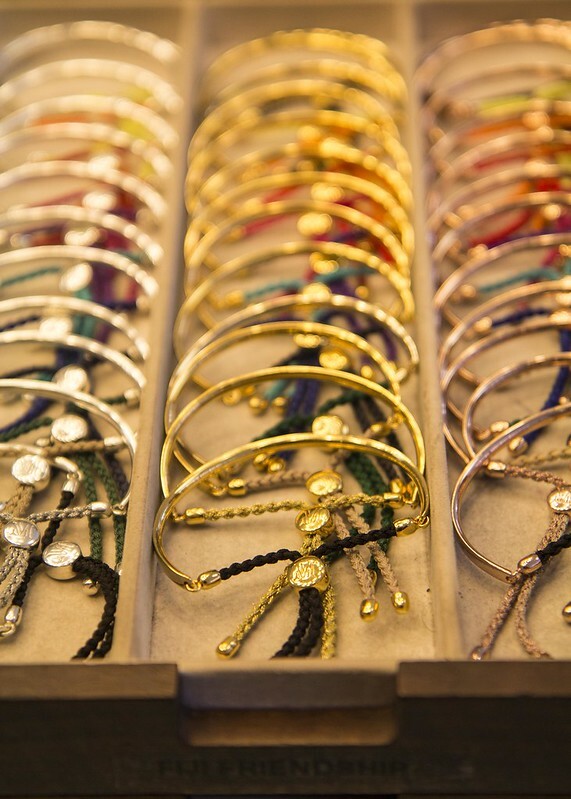 Let me just say.....it was no hardship trying on lots and lots and lots of bracelets, necklaces....and diamonds. I LOVE the idea of stacking one pendant over another which I've done on several occasions but never with more colorful and conspicuous pieces. Thank you to the staff at Monica Vinader South Molton Street and head office for the warm hospitality. I was gifted a diamond riva bracelet though I was under NO obligation to write nor speak about it. 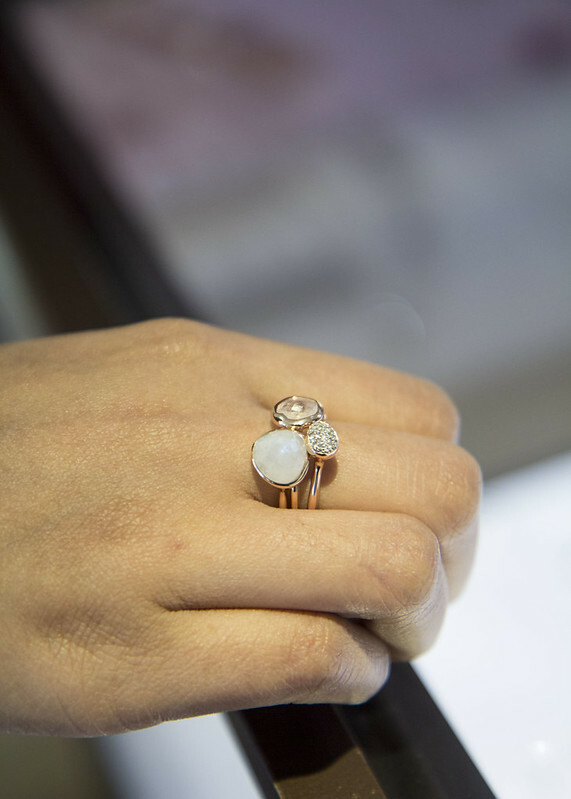 The Riva collection is apparently a big favorite of Kate Winslett who has worn numerous Monica Vinader pieces. Wow - the pieces are fantastic and just my style. The bracelet is gorgeous - so wearable and chic for everyday! Love her aesthetic and own a couple of her pieces, though I will say that the gold plating does wear off and tarnish rather quickly. If she worked with gold fill or 14k gold, I would love to buy more pieces. I was informed that customers are welcome to bring their pieces in should the gold plating wear off as they're re-plate it again. Oh that is great! I will bring my pieces with me when I visit London this summer - thanks! I was just there, I really love their pieces but I was much too shy to whip out my iPhone and start snapping. Madly in love with that bracelet. I'm still rather shy about snapping away so I generally ask for permission. 90% of the time, most of the stores are absolutely fine with it knowing that it's free advertising. One cheeky guy at the Partridge market in Chelsea reminded me to tweet and instagram the photo! BTW, at L'éclair de genie in Paris, tons of people snapped away like crazy! I was so shocked. I've never been to THAT many jewelry stores in 2 days! Can't believe it's that long ago. So many beautiful pieces Marlene. I can understand why you jumped at the opportunity. Your bracelet is absolutely perfect and such a special piece. And look how well it goes with your diamond tennis bracelet! They were made to be worn together. Love love love all if this jewellery. 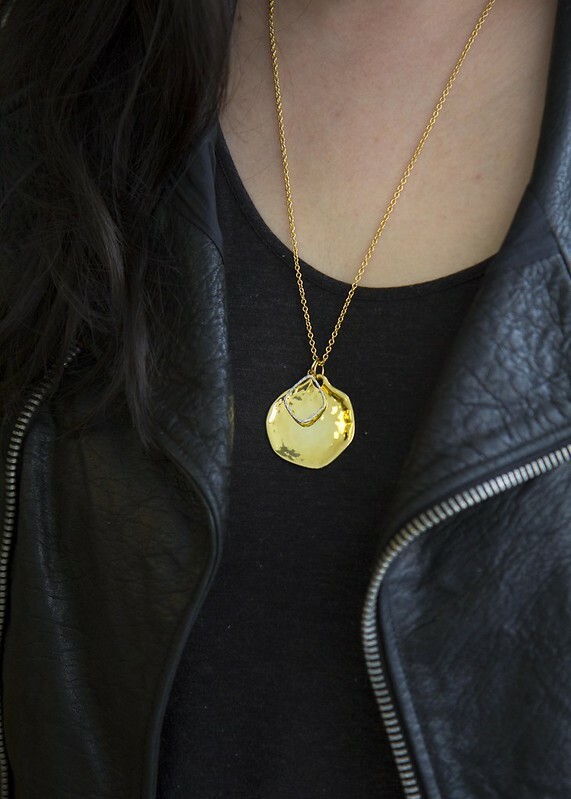 Especially the pendant. I will have to drop some major hints next time my birthday is in striking distance. There is hardly a day when I don't wear my MV friendship bracelet. I absolutely adore it. Thank you again! Lovely photos Marlene. I actually thought of you when I received their invitation. In fact, I mentioned your lovely feedback about their service and bracelet to them. So beautiful- I want everything!! 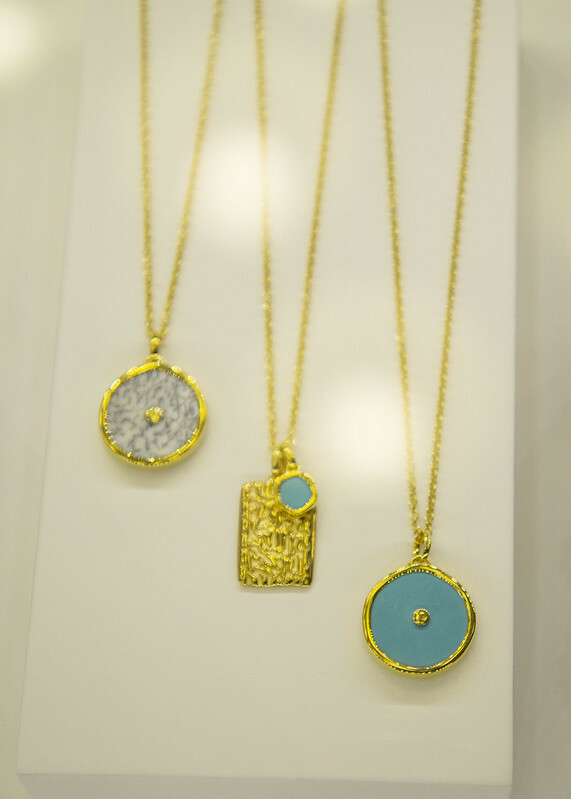 I love the round turquoise necklace with the gold chain, it's so pretty! 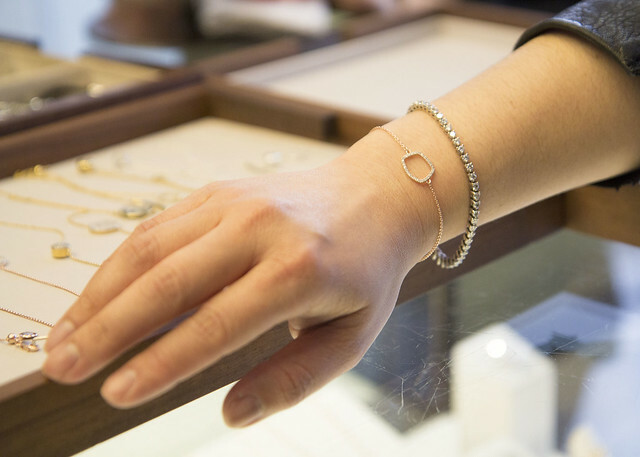 And the Riva bracelet is amazing too - very elegant and minimal piece of jewelry! Oh wow! That bracelet is beautiful!